Who hasn’t experienced that moment, the one where you are going down the highway and just below your gaze on the horizon beyond, you see a dashboard light blinking? You feel your heart pounding as you try to figure out what it means and how you should handle it. As boring as it sounds, it is a good idea to review the owners manual in your new vehicle before you are going 60 mph so that you will know if you should find an exit immediately or just make a note to call the technicians at Norm Reeves Honda Huntington Beach. 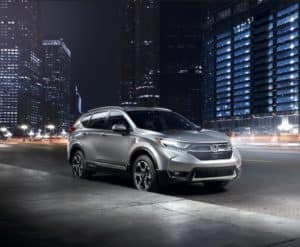 With that in mind, here is an overview of the dashboard lights in a Honda CRV and some recommendations should you see them light up. These lights normally come on briefly when you start the car. If they stay on or come on while driving, you should take action and make sure you get it checked by a certified dealer. These come on to show you which systems are on or off, whichever is not normally the case. Parking brake on: The word brake is illuminated. Low tire pressure: This indicator looks like a bent horseshoe with an exclamation point in the middle. When you see this one, have a technician at Norm Reeves Honda Huntington Beach check your tires for proper inflation. Charging system: This light, which resembles a car battery, tells you there is a problem with the battery or alternator belt. It is not a good idea to drive long distances with this light on. Low oil pressure: This light, resembling an oil can with a drip, lets you know the oil pressure is low. This does not indicate the oil level. Check your oil soon or get the car checked by a technician. Driving with low oil can harm your car. Supplemental restraint system: When the car is started, the SRS light briefly flashes. If it comes on and stays on, there is a problem with your safety restraint system. Anti-lock brake system: Displaying the letters ABS, this indicator tells you there is a problem with the anti-lock brake system. If you are driving, stop the car and turn the engine off. If it does not go out or comes back on while driving, have your car checked as soon as possible. This does not mean your entire braking system is malfunctioning, but rather just the ABS system. Malfunction Indicator Lamp: Also known as the check engine light because it displays an outline of an engine with the word check in it, this light comes on for a variety of reasons. You should get your car checked by a professional as soon as possible if you see this light stay illuminated. 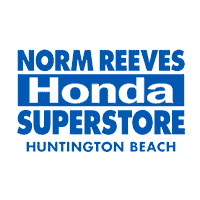 Checking in with the trained service technicians at Norm Reeves Honda Huntington Beach helps you possibly avoid more costly repairs or, even worse, those terrible times you are stuck on the side of the road. Take care of your Honda CRV and it will take care of you.